Though it wasn’t the case in the open beta, Doom will feature an uncapped framerate on PC at launch. There will also be a host of advanced graphical options so you can tweak and adjust the experience to suit the capabilities of your rig. 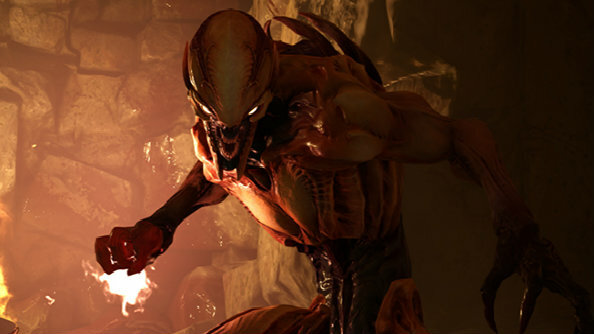 The original Doom is, of course, in our list of PC’s best FPS games. Doom’s open beta provided id Software with a bunch of feedback based around PC settings, and capped framerates,monitor support and multi-monitor support were some of the biggest concerns. These concerns were unwarranted though, as id say these features just “weren’t emphasised in the beta for various development reasons” but the framerate in the full release will be uncapped and a host of monitor setups will be supported. “PC gaming is in our DNA here at id,” says Robert Duffy, CTO at id Software. “Just like so many of you, we also love to tinker with settings to get the exact experience we want – and every ounce of performance our systems can handle.